We are always making fun of Digitimes' elusive "supply chain sources" that throw all kinds of rumors at us which seem sourced around Taiwan's factory water coolers, like the one for the upcoming affordable iPhone earlier in the day, but when the Wall Street Journal chimes in confirming the speculation, one ought to listen. The Journal just came up with a story that Apple is working on a more affordable iPhone device to debut as soon as this year, citing "people briefed with the matter." While the earlier rumor was that this market-expanding iPhone will shoot for a larger screen, WSJ says that it will actually resemble the current iPhone, but feature different, easier to manufacture materials for the body, like the light and durable polycarbonate that the S III and the Lumia 920 are built with, instead of the expensive glass and metal alloy chassis that wraps the iPhone 5. This will actually represent the biggest change for the affordable iPhone version, with other current components going directly into it, while anything newer Apple comes with will be reserved for its more aristocratic and more expensive annual edition that should arrive in the summer. Apple is no stranger to offering different versions, sizes and colors for all tastes, as it does with the iPod line, and if the speculation about a mass market iPhone this year materializes, it will be clear that Cupertino is aggressively aiming to claw back market share from archrival Android with a swift change in strategy. What do you think? So their coping Samsungs technology with the polycarbonate? Apple dont use plastic they use GLASS which breaks. 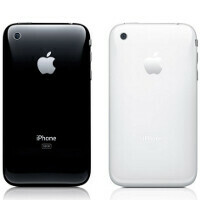 http://en.wikipedia.org/wiki/IPhone_3G Design The iPhone 3G's back featured a redesigned plastic polycarbonate housing. Does Samsung use polycarbonate? I thought they used cheap looking/feeling plastic? Look to HTC and Nokia for some high quality polycarbonate (which I guess is a type of plastic?). Get ready guys (Nokia, Sony, Samsung, etc...), a polycarbonate lawsuit coming to the HQ near you. Please change software interface! iOS has had the same home design in all of its mediocre life. Lmao PLEASE I repeat PLEASE Elaborate on that comment for us. Android interface(ui) had changed quite a bit with each new build. Thats not even mentioning all the variations with different manufacturer skins. None look like the boring old iphone ui, which hasn't changed in its entire life. In other words, you have no idea what you're talking about. As of Android 2.3 Gingerbread, it was 95% as smooth as iOS, while much more powerful and fully featured. With ICS, then JB, it became 100% as smooth and even further ahead in power and function. Please let the iPhone remain how it is, it's the iconic symbolism which shall remain perpetual so in perspective shares and commodity shall will stumble . Oh no, I like Tim Cook but his vision is no longer bold like Steve. But but but apple only uses the highest quality materials never would use cheap plastic, or so the apple fanboys claim. Tim, let's see how affordable an iPhone you can 'Cook' up! Unless it's on par with the Lumia 920 then there would be no reason to buy it. The 920 is already affordable enough. An inexpensive polycarbonate device that has inexpensive internals would be a failure from Apple. I'm sure they are familiar with what the competition has to offer, but we'll see if they get greedy again. you mean last last year. Even if the iPhone 5 was free on contract I would still pay $300 for a Note 2. And 2013 will be the year of 1080p displays and fast quad core processors. If Apple made a $300 (on contract) 5.5 inch quad core A6 1080p phone I would buy it. Heck, I would even drop $400 for the 32gig model. Apple won't learn until it's too late. Samsung/Android is going to run lose all year if Apple releases a 4 inch "S" model. Couldn't have said it better...You know what they say about karma.I'm afraid Apple is coming to a slow end similar to that of Atari,Nintendo,ect.,however Apple deserves it!! Cheaper by how much? $10? Or the overwhelming amount of iFans mocking anyone using something else as poor or low class... a lot of the hate is well deserved, especially if you've watched the Apple documentaries showcasing their users and company behavior.